Want to Work for Fence Factory? Fence Factory is Hiring! 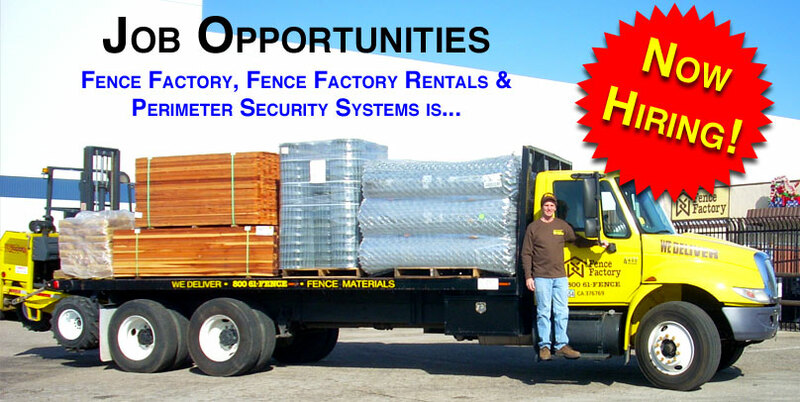 Fence Factory, Fence Factory Rentals and Perimeter Security Systems Are Now Hiring! For best results fill out form on your computer. Once filled out, print PDF.